Lattes, Espressos, Cappuccinos – Oh My! Coffee products are certainly growing in popularity among all demographics. It seems that will many people claim to love all different coffee-type drinks, not all have a good understanding of the differences between the products, namely lattes, expresso, cafe au lait, and cappuccino. Here we will outline the basics of each. A latte is a drink made from espresso and steamed milk. The majority of the ingredients is the milk. For a 16 ounce latte, only about 3 ounces of espresso are added. When made properly, lattes can be a delicious drink. The latte is a popular drink in America for adults but in Europe is is considered to be more a children’s drink. Many confuse cappuccinos and lattes. While they contain the same ingredients for the most part, the ratios are different. Typically, a cappuccino is made in thirds. Combining 1/3 of espresso and 1/3 of steamed milk, 1/3 of frothed milk is added to the top of the drink. 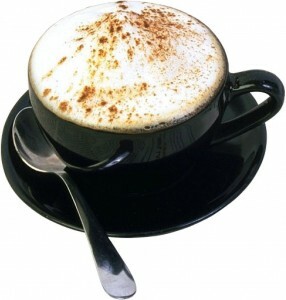 However, depending on the maker, a cappuccino can be made in several different ways. Espresso is a fine, grounded coffee that is made using an espresso machine. The water is heated to 190 and the coffee is added into a portofilter. When the water flows into the portafilter, it is pressurized and produces around 2 ounces of espresso. Cafe Au Lait is a simple drink made up of half dark coffee and half steamed milk. The important part of making a Cafe Au Lait is ensuring you have a good tasting coffee and fresh steamed milk. While the drinks are all similar in ingredients, the major difference in the drinks will be the experience of the barista making them. The way the ingredients are incorporated as well as the freshness of the ingredients (ie. always using good, cold milk and not leftovers from previous drinks) will have an impact on the taste of the drink. The choice of coffee as well as any additional flavorings or syrups that are added to the mix can make or break the quality of the drinks. There are many knock-off drinks, found at many convenience stores that claim to be any of the above drinks but the majority of them are made from powdered mixes. To get the true taste of a quality coffee drink, visit a coffeehouse and do a taste test to see which of the drinks you really prefer.